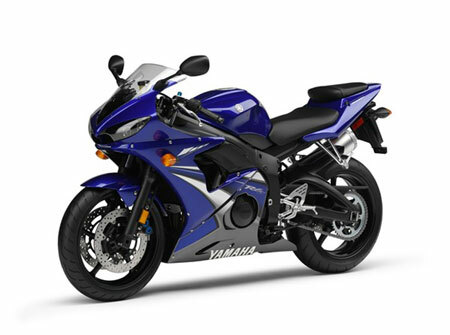 So it’s no exaggeration to say that when you ride the 2007 YZF-R6S, you instantly join an elite group of champions. 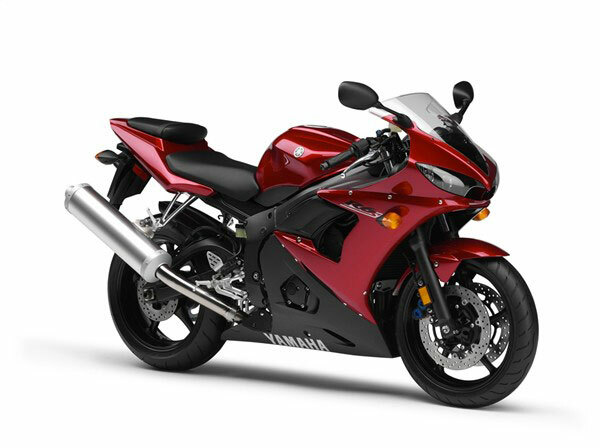 With the introduction of the incredible new 2006 R6, the R6S steps back from the podium. 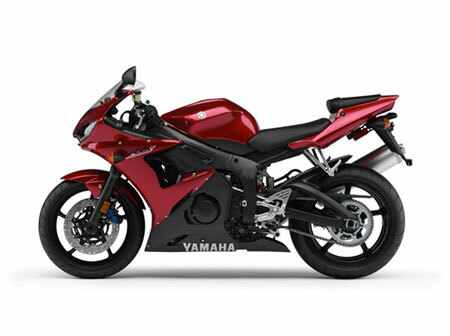 The R6S is packed with great features like 43mm forks, 298mm front disc brakes and enough performance to keep a permanent grin on your face. Whether you are looking for a sizzling street ride or track day rocket, the 2007 R6S will not disappoint. – Ultra-compact, lightweight, 600cc, DOHC, 16-valve, liquid-cooled, in-line four-cylinder engine puts out over 200 horsepower per litre! – Lightweight forged pistons feature carbonized connecting rods for superb strength and reduced reciprocating mass. The result is incredible engine response. – Hollow side-driven camshafts with specially designed valve lifters helps create a very narrow engine width. – Competition-bred suction-piston throttle body fuel injection with 40mm throttle bodies features short intake ports and a special vacuum-controlled intake system to ensure instant seamless throttle response all the way up to the incredible 15,500-rpm redline. – Ram Air Induction System delivers cool, high-pressure air “force-fed” into the intake tract for optimal combustion and greater horsepower at higher speeds. – Close-ratio 6-speed transmission delivers seamless power delivery and maximum acceleration. Gear widths, splines and engagement dogs are optimized for smooth shifting under power. – Heavy-duty, large-capacity clutch ensures consistent, fade-free performance. – High capacity cooling system features a curved radiator with dual ring-type fans for excellent engine cooling efficiency. The ring-type fan offers more airflow than a conventional non-ring type fan. – High capacity water pump and separate liquid-cooled oil cooler ensures consistent engine temperatures for maximum performance. – Direct ignition coils, iridium spark plugs and high-output magneto deliver reliable, super strong spark. With this system, the ignition coils are integrated into the plug caps, significantly reducing weight. – 4-into-2-into-1 exhaust optimizes engine performance, and features a mix of stainless steel, titanium and aluminum to reduce overall weight. – High powered 32 bit ECU (electronic control unit) with computer perfected mapping provides ultra precise ignition timing for maximum response and power output. – Immobilizer ignition system is designed to reduce the possibility of ride away theft. This system must recognize the “coded ignition key” in order for the unit to start. If the immobilizer ignition does not recognize the key (or a theft’s screwdriver or other type of “jimmy tool”) the bike will not start even if the ignition is turned or forced into the on position. If the system does not recognize the correct coded ignition key, the ignition system and starter will not function, and as a result, the unit will not start. – Radical, lightweight aluminum Deltabox IlI frame offers the perfect rigidity balance. The result is incredible handling response. The engine is a fully stressed chassis member allowing for a super-light frame design. – Key chassis geometry figures include: 1385mm wheelbase, 24.5 degree caster angle and 95mm of trail. 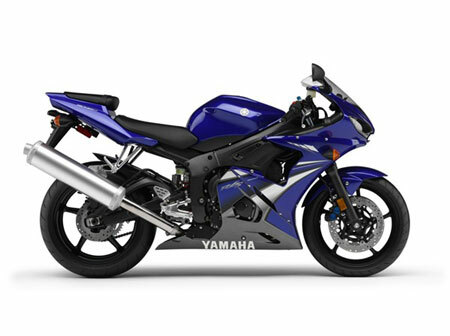 – Yamaha’s exclusive Controlled Filling Die Casting (CF casting) is used to produce an incredibly sleek swingarm that is remarkably strong and light by pinpointing exactly where material needs to be. Pivot position and swingarm length (576mm) are optimized for even greater traction. – Removable aluminum rear subframe uses CF casting technology to provide lighter weight and fewer welds as well. – Fully adjustable 43mm Kayaba front fork provides 130mm (5.1″) of wheel travel and offers incredible suspension performance with ultra-precise feedback. Adjustments include; 8 positions of spring preload, 10-way compression damping and 9-way rebound damping. The inverted design not only reduces unsprung weight but also increases the rigidity of the fork. – Fully adjustable Monocross link rear suspension utilizes a piggyback-style shock providing 130mm (5.1″) of wheel travel. Adjustments include: 9 positions of spring preload, 12-way compression damping and 17-way rebound damping. The piggy back design helps to keep the shock oil cool for more consistent damping. – 4-piston calipers squeeze large 298mm dual front discs for great braking performance with excellent control and good lever feedback. – Brembo radial pump master cylinder is a direct GP race innovation. The radial design allows for more powerful braking and improved lever feedback. The new shorter lever is adjustable for various hand sizes. – Lightweight five-spoke 17″ wheels reduce unsprung weight by making hub and spokes a single structural unit. A special casting technique makes the rim section substantially lighter and stronger. – Ultra-sleek “new edge form” bodywork features a sharp front profile with centrally located Ram Air duct, engine-revealing side cowlings and ultra-sleek tail section. – Narrow 17-litre fuel tank provides excellent rider ergonomics and aggressive seating position. Fuel range is approx. 300 kms. – Dual “Gatling” beam 60/55-watt multi-reflector headlights cast a wide beam of light and feature a sleek profile for superb aerodynamics and visibility. – Twin LED taillights reduce both weight and size while providing excellent visibility. – Multifunction digital and analog instrumentation with adjustable LED illumination features: digital speedometer, dual tripmeters, fuel tripmeter, clock and analog tach. There is also a programmable shift light too! – Durable, lightweight, aluminum clip-on bars provide optimal vibration damping.